← Gig on the 22nd Feb! 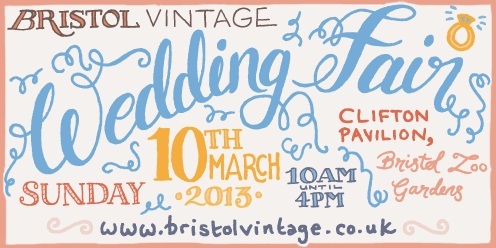 Bristol Vintage Wedding Fair…THIS SUNDAY! We will be playing 3 slots during the day at 9.30, 11.20 and 12.40 so hope to see some of you there! Stop us for a chat or just enjoy some impromptu toe tapping…go on I dare you! There will be plenty to get you inspired and keep you entertained throughout the day so whether you are planning a wedding or fancy a day out enveloped by all things vintage head to Bristol Vintage Wedding Fair from 10am on Sunday! And don’t forget to bring your Mum!